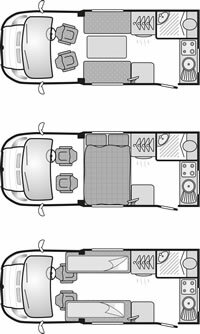 2019 Swift Spirit 612 New Coachbuilt motorhome for sale in Dolphin Hampshire UK. This model is 2 berth with 2 seatbelts. 2.3 JTD (130) engine with Manual transmission.